If you feel that you may be suffering from Dercum’s Disease, it is vital that you make an appointment with your Doctor to discuss your concerns and begin the diagnostic process. As discussed previously throughout this website, Dercum’s Disease is diagnosed clinically, meaning that there are no definitive tests to determine if you do indeed suffer from Dercum’s. To be diagnosed with this disease, you must be tested for a variety of diseases and conditions that present symptoms very similar to some aspects of Dercum’s Disease. It’s essentially a process of exclusion, paired with establishing if you fit within the disease symptom profile. This process can become complicated and it may at times feel frustrating, but there are several things you can begin doing today to ensure that your experience will be as efficient and painless as possible. The Dercum Society has compiled this advice for the benefit of both you, your doctor, and the many specialists you will inevitably see. 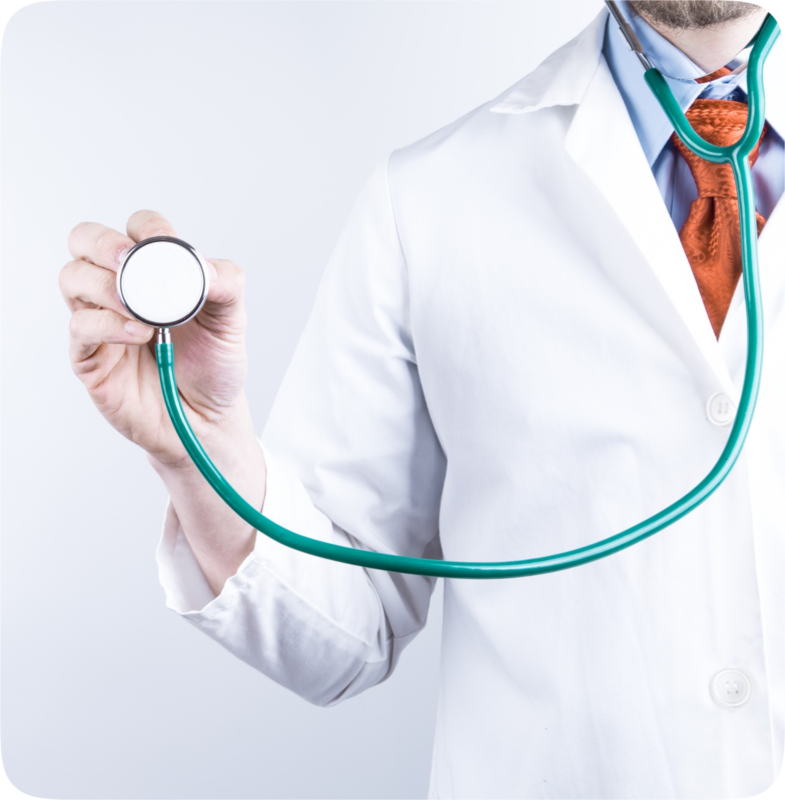 As always, none of this advice should take precedence over that of your doctor, but it will however provide you with a general idea of what to expect, and what you can do to expedite the diagnostic process. Medical expertise is born from years of rigorous scientific research, the results of which become published in reputable peer-reviewed scientific medical journals. Click below to learn more about how to understand and define the nature of medical research. In short, no. The principles of sound medicine are the same whether you are treating a cold, cancer, or Dercum’s Disease. It’s important to not be surprised if the doctors you work with are unfamiliar with Dercum’s Disease. But please, do not be dismayed! Despite having been discovered over 100 years ago, Dercum’s Disease is still widely unknown throughout the medical community. It is highly likely that your doctor, and perhaps even the many specialists you will work with, may not have heard of this disease or be familiar with its symptoms and treatment. Please do not let this lack of familiarity color your perceptions of your doctor – their lack of understanding of Dercum’s Disease should not reflect badly on their education or their dedication to helping you achieve a better, pain-free quality of life. Just as with any good doctor, they will most likely be ready and willing to listen to your concerns, and if necessary, work with you to discover more about Dercum’s Disease and how it may relate to your circumstances. Expect to work and study with your doctors, and expect to explain this disease a few times to medical and insurance professionals along the way. Hopefully news will continue to spread of this disease and more professionals will become aware of its existence, but until that day we can help by being ready and willing to learn alongside our doctors. It may be a long educational process, but the best news is, you and your doctor will soon become experts in the most important field – your own unique body and its unique needs. Inevitably, this lack of general understanding may become frustrating for you. However, it is absolutely imperative that you remain patient, calm, and cooperative. Please remember that your doctors are dedicated to working with you to achieve better health, but be aware of the realities of this situation. You will be working with doctors on a little known, sparsely researched disease; you will be breaking new scientific ground. This will take patience as you work with your doctor and team of specialists to discover the root cause of your condition; this will require you to remain calm so that you will be able to accurately answer any questions your doctor may have for you; and most importantly, this will require you to be cooperative as you endure visits with multiple specialists who will order multiple medical tests on your behalf. No one likes to be ill, and no one enjoys having to deal with prolonged diagnostic evaluations. But remember that this process is important for you and your well-being. Your doctors are there for you, please be there for them throughout this process by being patient, calm, and cooperative. Later in the Specialists section of this website, we will discuss the likely possibility that your doctor will refer you to a wide range of other specialists. This is a key component of a clinical diagnosis – remember that it would be foolish and unethical of your doctor not to rely on the expert opinions of doctors who specialize in localized, specific areas of the body. Each specialist you visit will provide insight into the unique workings of your body, helping to either disprove or confirm a variety of other conditions that could be causing the pain and discomfort you are experiencing. It is important that you prepare to work with a variety of doctors, and that you cooperate with them in any way that you can. They will help you immensely, and anything you can do to assist them throughout this process will only expedite your diagnosis and eventual treatment.